Romain Rolland the great French savant, novelist, dramatist, essayist, and mystic—Romain Rolland (1866 – 1944) was awarded Nobel Prize for Literature in 1915. He was born in Clamecy, NiÃ¨vre, France . His family was of mixed stock including both wealthy townspeople and uchpoorer”peasant” lineage. Romain Rolland went to University in 1886 where he studied philosophy, however he didn’t enjoy the rigid nature of the philospohy syllabus and so left before he had finished his course. Instead he received a degree in history. After university he spent a couple of years in Italy greatly admiring Italian masterpieces. On returning to France he took up a posts teaching at various university’s including the Sorbonne. However his heart was never in teaching, he prefered to be a writer. Therefore he quit his teaching post to dedicate his time to writing. Rolland was my nature introverted he didn’t make close friendships but absorbed himself in his writing. During the German occupation of France from 1940 he led a life of isolation and was very much a loner. 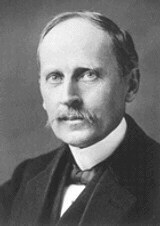 Romain Rolland died on Dec 30,1944 in Vezelay. This book is a fascinating account of Dillip Kumar Roy’s meetings and conversations with Romain Rolland. The reverence Romain Rolland has for spiritual music and the arts is clearly demonstrated.